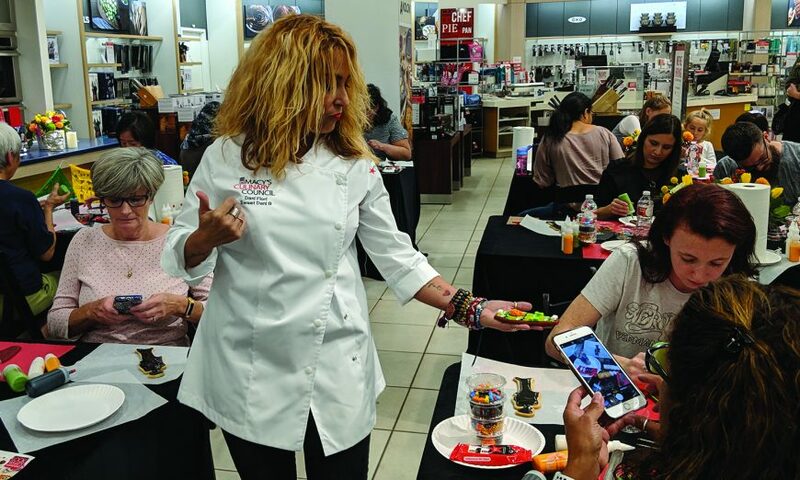 Sweet Dani B (Dani Fiori), the former resident cookie expert from the Martha Stewart Show, visited Macy’s Valley Fair on late October for a Day of the Dead cookie decorating demonstration. Masterfully showcasing the best techniques for decorating cookies, Fiori showed participants step-by-step instructions to turn naked cookies to edible Halloween art. After the workshop, those who purchased the $20 ticket were provided a meet and greet photo opportunity with the decorator as well as a $10 Macy’s gift card. 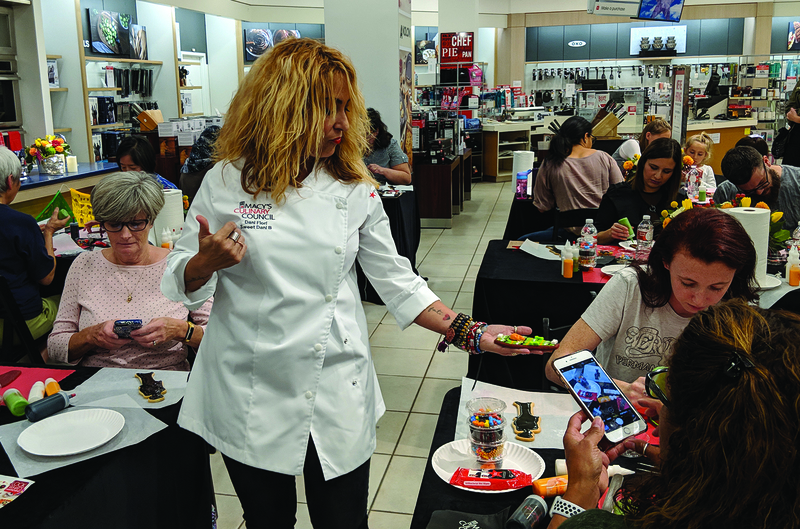 The sold-out event was organized by the Macy’s Culinary Council, which brings expert chefs into stores to share their secrets and provide in-store experiences for shoppers.